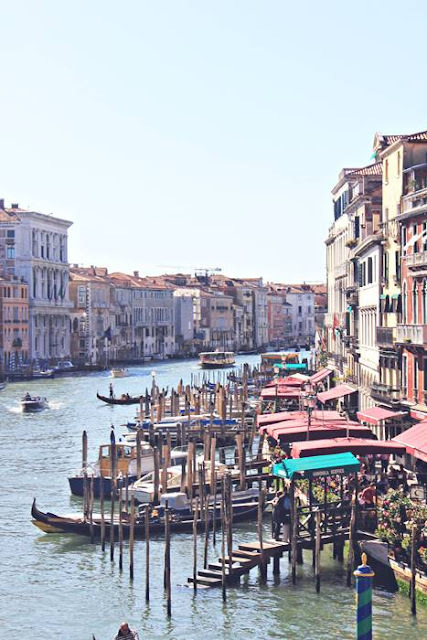 I've been to Venice and I finally decided to put on some photos! Me and my boyfriend really love that city. Every time I come back I fall in love again! I think if I go there for like a month I still wouldn't search and see it all! I don't know what else to say, I think photos can do that better. Luka found some new friends. love your style - very beautiful photographs. Great looks!!! Thak you for visit my blog!!! Venice is so beautiful! These pictures are great! And you look so stunning! Great pictures in a great city! 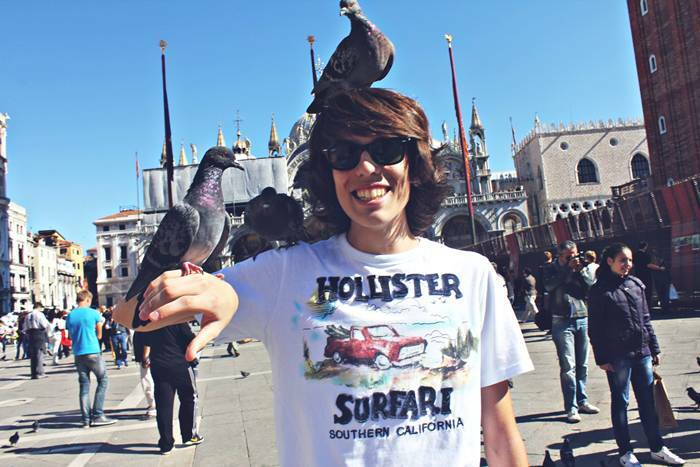 i've been in Venice couple of years ago!!! i am huge fan of ur style! 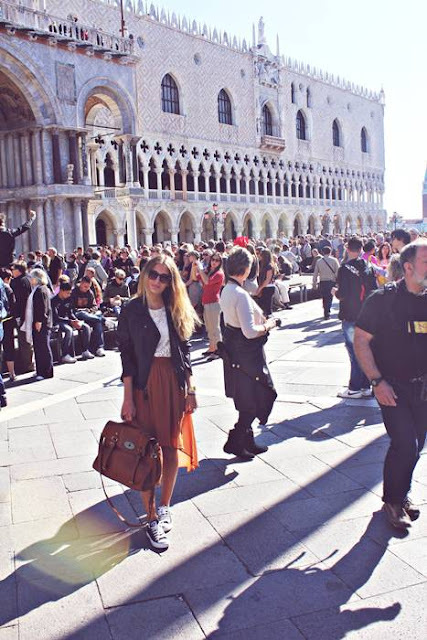 love Venice and your outfit!! so cool!! thanks so much for your comment on my last post: follow each other? Your bag is so beautiful, perfect ! Cute pics, infatuated with the big Mulberry bag....on my list! Wow, I love all of your outfits! Beayitful pictures and adorable sunnies! awww, your comment was so cute and totally made my day! your pictures are awesome, i love your short-long-skirt and see-through-shirt...my gosh, you are so beautiful! You look beautiful in these photos and the photos are amazing too, great photographer!! I miss the beautiful city of Venice. Adore your rust hued skirt! I like it how even on trips with a lot of walking you still stay chic, cool and refreshing!!! Isabella: can you believe I live near Venice and I studied Architecture there?! Amazing pics! Really! I'm glad you visited our fantastic city! Thanks for your comment on my blog! Love these pictures. I've been to Venice two times and I love it there:). Easy to see why you love the city, it is simply gorgeous! You look amazing and the photos are great! I'd like to invite bloggers to take part in romwe's contest on my blog! Just register leave a comment and win 80$ for shopping! Thanks for your visit on our blog! Now we are followers!! !Follow us back if you want! What a cute pairing of the skirt, lace blouse and converse!! I love your skirt, your blouse and your bag !!! wow! all is beautiful with you ! beautiful photos, youo're making me quite a bit wanderlust! I'm in looove with your vacation photos and of course those stunning outfits! ;) Venice looks really amazing! Thank you for your comment in my blog. We promote spanish fashion and designers in Qatar and in the blog we make designer presentations, talk about style and our experience as western women in the Gulf so once a month we make a post on qatari culture and society!. Ciao beautiful! Thanks for all the lovely comments you always leave on my blog, sorry that I haven't commented much in yours before, but now I follow! Venice is definitely a place I'd love to visit someday, adore your skirt the hemline is fantastic, and with lace just so pretty, see you around! Thank you very much for your lovely comment, dear! Your image - very romantic and airy! Your eyes shine with happiness! Keep it up! You - a very harmonious and beautiful couple! Brava! Hi, Isabella. Thank you for comments on my blog. I following you, hope you following me back. I LOOOOVE THIS PICS!!! YOU LOOK GREAT!!! LOVE THE ALEXA OVERSIZE!!! Lovely and simple! Like the outfit and photos are great! Thanks for your comment! these photos and your look is really beautiful! I love your pictures and your blog ! hi isabella, you are a very cool girl. love your sunnies and of course, the bag. thanks for your comment! I've been to Venice a few times already and I just can't get tired of it, I adore that city!!!! wow! gorgeous pictures!! makes me wanna travel.. I follow you for a while .. I hope repay. And thanks for putting me in your bookmarks : P you are also among my! Ps. The bag is wonderful! Thank you so much for commenting on my blog! Love the look, so good, and you're so pretty!! I would love to go to venice some day! Beautuful picture! The skirt is so pretty! Nice pics! I love your outfit and the bag is beautiful! I spent last summer there and it was amazing!! I love your outfits!!! Cute outfits, love your bag! Thank you for passing by our blog...we already follow you;)! 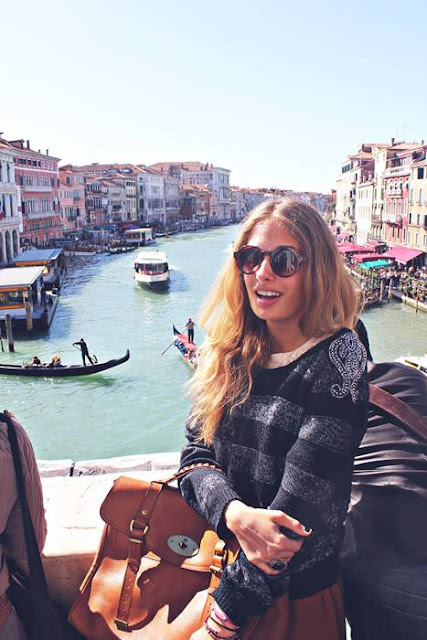 Your blog is really interesting, I like your style and..have a great time in Venice!! Welcome in Italy;)! Super mi je kombinacija suknje i all starki!! Predobro! what a lovely blog you have! and i know right, venice is the best! it's such a lovely place, i have been there only once, but i'm going back in april. amazing pictures, you look so pretty, as well as your outfit, it's so summery! Lovely photos. 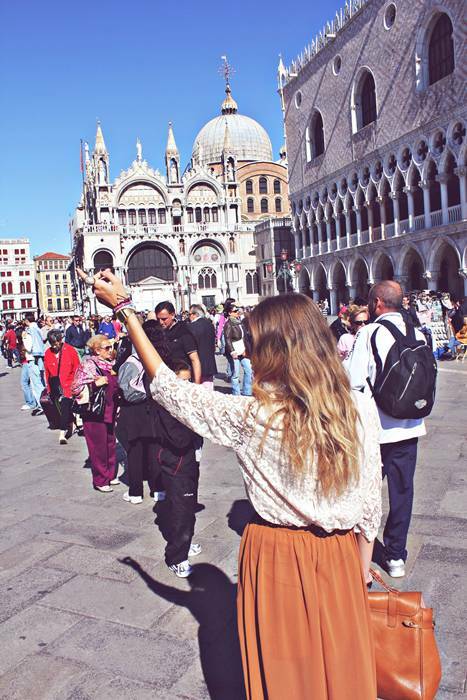 I love Venecia. Kisses. Ah, my heart hurts just looking at these photos! 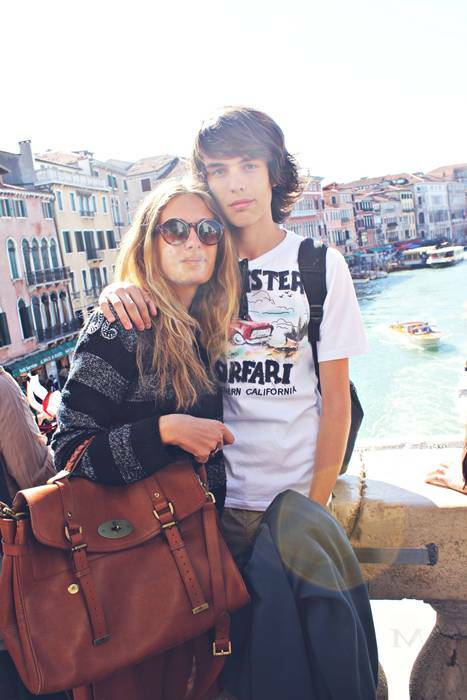 Venice was one of the best trips of my life, I'm dying to get back there one day!! I love this! I love how you pair everything with converse! You look so beautiful and I loved the style.. :) But dont say stupid to pigeons! :) They're sweet! 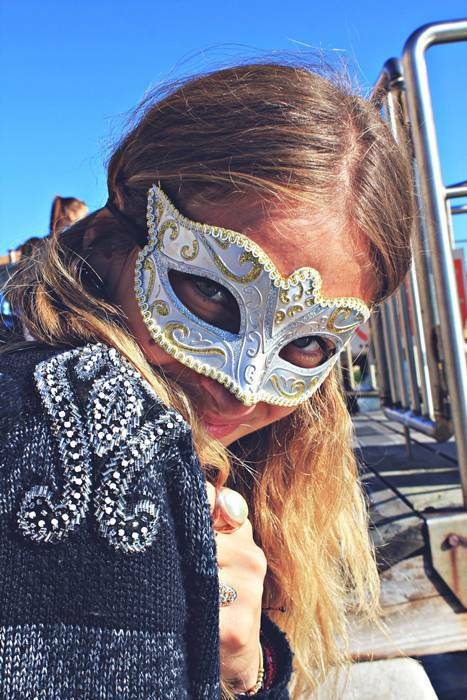 :) Love your mask, bag and skirt.. and of course the lace top..
you know just the combo in general! I come from Italy!I love Venice!But I come from Naples!come to see my blog you can also win my GUCCI giveaway! and I'm loving your skirt! wow!!! nice body,nice blog...and Alexa? ?oww my favourite bag !!! Thank you for your lovely coment Isabella. you are very beautiful! I love Venezia! beautiful pictures! Loving your outfit! Amazing pictures!! love all the outfits!! You look gorgeous!! Ciao! Grazie per il tuo commento!!! Sei davvero bella...come Venezia! Love the lace with the sheer skirt! So cute! I hope you've enjoyed Venice. It's a really cute and romantic place! Love the photos and your absolutely gorgeous! Each and every outfit is amazing! Wow, you're so beautiful! As is your blog! You look fabulous dahling, love the round sunnies! Love your style ! Venice is such a beautiful city; I've been there on september for the second time, and there is always something new to discover. Looks so amazing you lucky gal! I loved Venice too !! You look great and the pics are so nice !!!! Love your blog !! Check and follow mine ? Hiya, Thanks for visiting my Blog, I haven't seen you for a while :D.
I was in Venice for the first time this August I fell in love with the city! I so wanna go there again! samo mi starke sa topshop suknjom nisu išle.. I love all the pictures on your blog! And of course the outfits too! Thank you so much for stopping by my blog and leaving such a sweet comment! I adore your blog and all your personal style posts. Particularly this one because all week I've been dreaming about getting back into converse! I love the contrast between your girly top and skirt and boy like shoes. Works so well! I'm following you now, so, please stop by again soon! This outfit is so beautiful, I love the skirt ! Oh my, I really like the photographs!